Your opinion and your experience with canarYmoto is important for us! Here you can read comments of our clients, who allowed us to publish there feedbacks. Take a look at hundreds of german feedbacks on the german website. 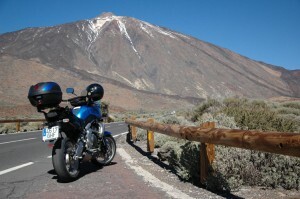 In case you had have rented a motorbike by canarymoto, or even had a complete booking, you may write us about your impressions. You will help us to improve our service. Criticism and praise are welcome. Gear mod for more torque! Great! 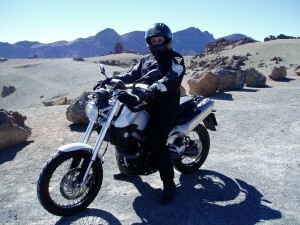 Not that I mind but on your website you state all bikes are max 1 year old, the F800 I drove was 3? It was in a fantastic state though! 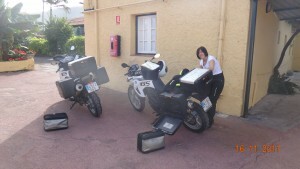 My real first motorholliday was a fantastic experience! The isle on it was a nice discovery, I thought that it was only a touristic place, but now I now better now. 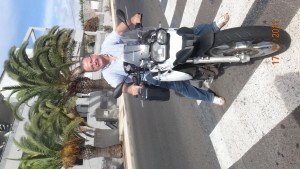 We have spend a wonderfull week at Tenerife, the bikes (F650GS) were in good condition. We will certainly come back to discover the rest of the wonderfull island(s). The service is very professional. Excellent service, everything went as planned, or even better! Not easy to find Your office, as on the former place, but once there, everythings okay. - a flag, a sticker on the doorbell can solve this, but for me its not important anymore, I\'ll find You next time. The bike was in a surprisingly good shape, just like last time, not the usual rental-beater. Good tires, brakepads, not even a scratch on the paintwork, A+! Cant wait to visit You again, Thank You!